It’s hard not to shake your head thinking about Zalgiris Kaunas squeaking its way into the playoffs, especially when you look back at the standings after Round 24 on March 1. Zalgiris was 9-15 having lost four of its last five games for 13th place and three games from a spot in the postseason. 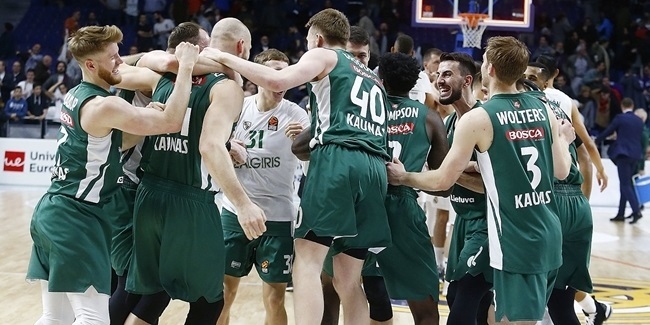 Then came a six-game winning streak to close the season - the last win being an 86-93 victory at Real Madrid - and Zalgiris and its fans in the Spanish capital went out to celebrate. 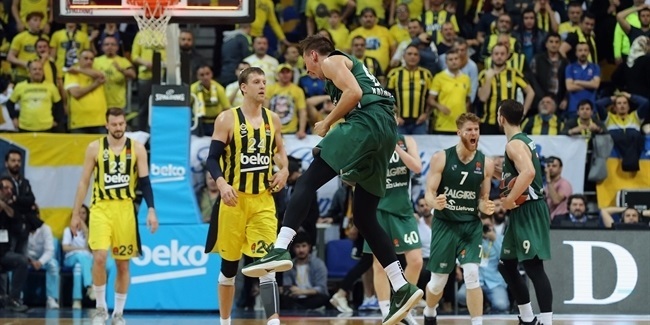 "Congratulations to my players, to our organization and the city of Kaunas for a big accomplishment for our team," said Zalgiris head coach Sarunas Jasikevicius, whose reward for reaching the playoffs is a date with first-placed team Fenerbahce Beko Istanbul. "We will go celebrate tonight, at the same time we have to forget about it as quickly as possible and prepare for the best team in Europe." Jasikevicius stressed that his team only was able to secure a spot in the postseason thanks to its strong character. "I have to talk about the character of my players who never gave up and believed in what we are trying to do here," he said. "You can only win these types of games with character. You build your winning streaks on character because during the winning streak there were a lot of things that were against us. And the guys sometimes managed to come out on top by just playing not so good. But this is also a sign of maturity." And perseverance - especially when no one else believes in you. "[Reaching the playoffs] is a great feeling, especially the way that we had to get there. A lot of people counted us out but in our locker room, it is all that matters. We are the ones that believed. We grinded those wins, one by one,” added Brandon Davies, who scored 12 of his 27 points in the final 5 minutes against Madrid. Zalgiris lost both of its games against Fenerbahce during the regular season - 82-75 at home and 78-61 in Turkey. 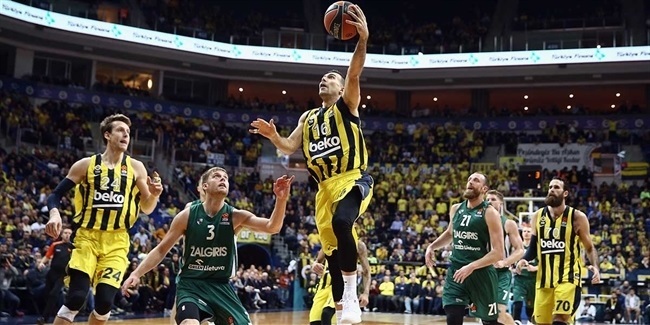 But Jasikevicius believes in his guys. "Zalgiris's strength is the players' character. And I believe with this type of player and with these fans supporting us we have chances." Saras said.